Citroen has remixed the Ray Charles track, “Hit the road Jack”, in a television commercial promoting the C3. 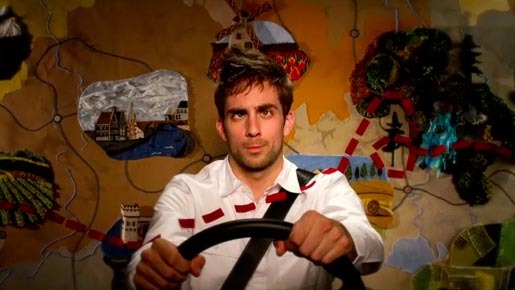 “The Face” features American comedian Mike Ivers behind the steering wheel as his universe is transformed around him. The Face ad was developed at Agence H, Paris, by worldwide creative director Gilbert Scher, creative director Luca Cinquepalmi, creative director Marco Venturelli, head of television Christopher Thiery, account team Hugues Reboul, Alain Cayzac, Emmanuelle Woerel. Filming was shot by director Peter Sluszka via Hornet with executive producer Michael Feder, producers Greg Bedard and Joel Kretschman, director of photography Zak Mulligan, animators Chris Gilligan, Matt Somma and Kevin Coyle, production designers Anthony Henderson and Elise Ferguson, lead compositor Arthur Hur, compositors Andrew MacFarlane, John Harrison, Peter Fink and Rosie Garschina, editor Anita Chao. See more on the making of the video at Hornet Workshop. “Hit the road, Jack” was remixed for the ad by Donuts featuring Swann.